Creative camaraderie rocks! My Society of Children’s Book Writers and Illustrators (SCBWI) and LOFT Literary Center memoir group give me permission to play all day at my notebook or computer and they don’t think I’m nuts. At least, they are polite enough not to say so out loud. Critique friends Elise Parsley. 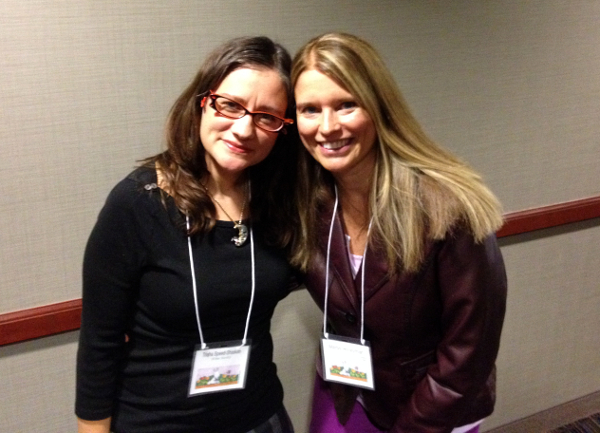 Kristi Herro, Alicia Schwab, Louise Aamodt, and me. 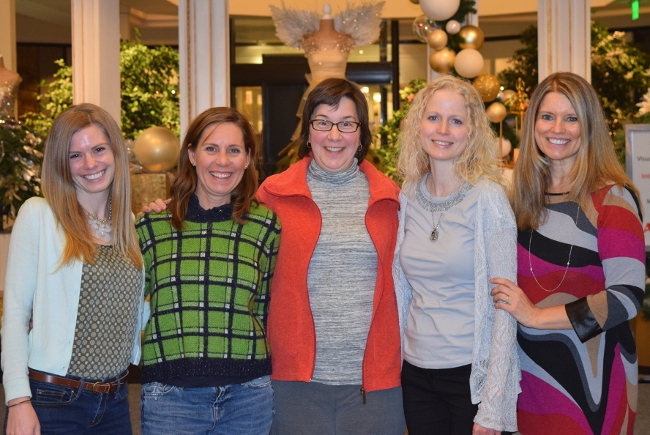 Elise Parsley, Kristi Herro (of SpotOn Editing),Alicia Schwab (of Alicia Schwab Illustration & Design), Louise Aamodt and I have forged an indispensable bond through our children’s book writing friendship. Each feels like an aunt to the others’ protagonists. We all experience that relational pride when a new “book baby” is born. Even miles won’t divide us. When we can’t meet regularly in person, we connect via Skype, email, and at conferences. Three of Elise’s picture books, which she authored and illustrated, will be published by Little Brown and Company. The first one, If You Want to Bring an Alligator to School, DON’T!, debuts on July 7 of 2015. Learn more here. Children’s book author Trisha Shaskan has graciously volunteered to mentor me through the 2014-2015 Minnesota Writer Mentorship. I’ve already learned so much from her; my main takeaway, her encouragement. If you ever need a cheerleader, Trisha will make you believe you can do anything. To further hone my craft, I’ve enrolled in workshops instructed by Jane Resh Thomas. My standard contribution is to sit, mouth agape and drooling, while the other participants read and when Jane offers her sage advice. Jane’s dog does the same, but not for the same reason. 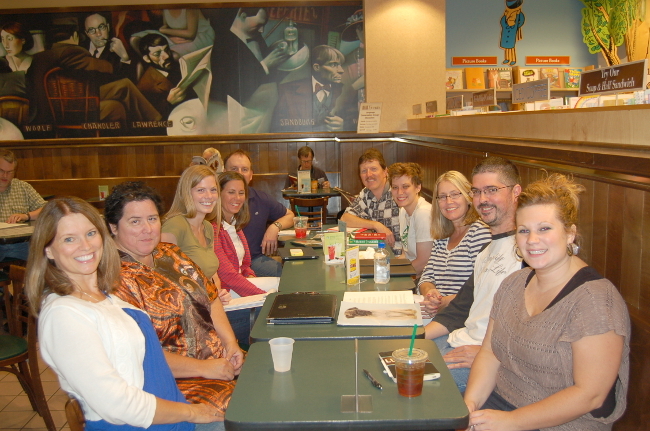 This meet-up photo from August 2012 shows how our group looks before we break into smaller working groups. Participation is increasing and we are taking over the Barnes and Noble coffee shop in Edina. 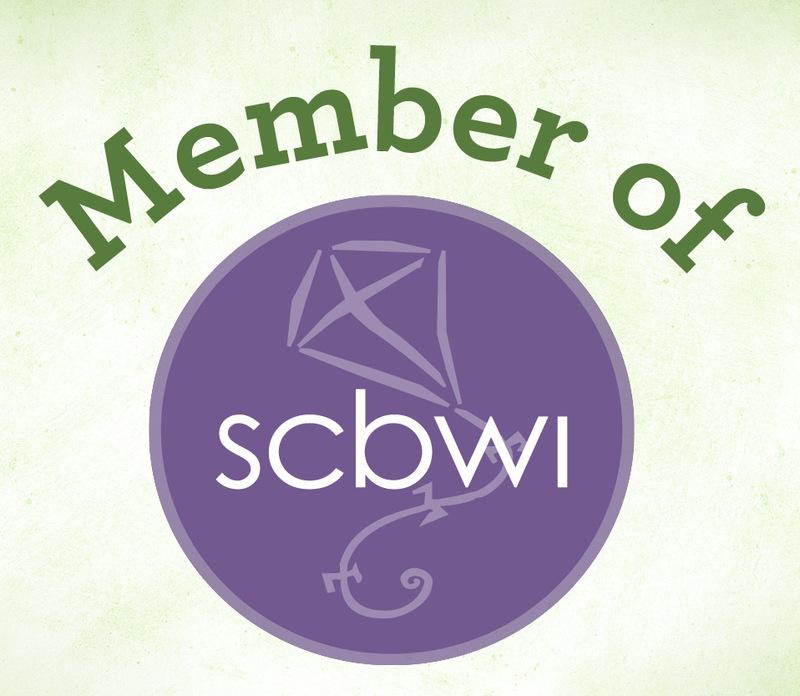 We welcome all SCBWI members! MN SCBWI members gather monthly at the Barnes and Noble Galleria lower-level coffee shop in Edina, MN, every 3rd Tuesday, at 7:00 p.m. Generally, 10-30 writers and illustrate attend. Writers and illustrators break into small groups of 3-5, according to genre, to critique each other’s work. Come join us! Even if you have nothing to bring, you’ll learn so much from the process. 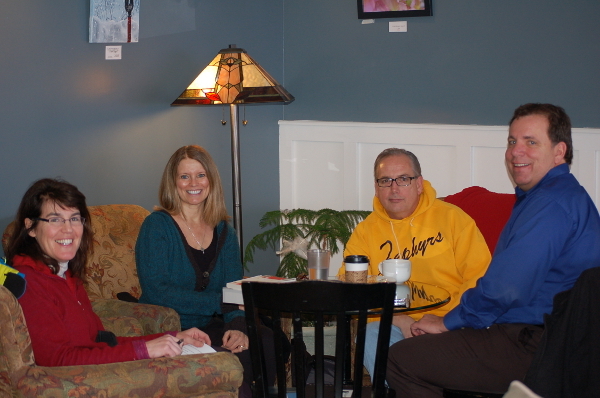 The Black Sheep Memoir Group: Elizabeth (Liz) Lee, me, Davis Shryer, and Tim Smith. Last, but definitely not least, I belong to the Black Sheep memoir/adult fiction group with Elizabeth Lee, Tim Smith, and Davis Shryer III. Our name derives from the Black Sheep Coffee Café where we meet. Like superheroes, we become the BS group when needed. We give each other permission to capture our individual hopes, dreams, thoughts, fears, and life experiences on paper–then we share them. Sometimes we belly laugh. Sometimes we choke away tears. Every time, we grow. It’s like a bi-monthly therapy session–only cheaper. The reinforcement and fellowship of these talented friends make the goal more tangible and the journey more fun. By investing in the success of one another, we’re learning that success breeds success. 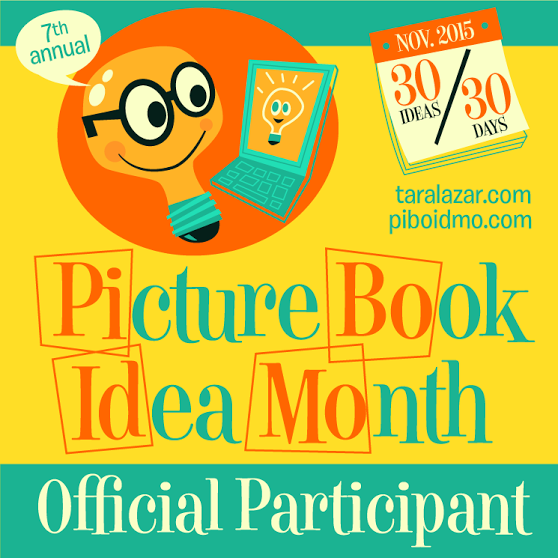 If you dream of becoming a published author or illustrator, find kindred spirits who work in your genre. Together, your dreams will evolve and, through hard work and patience, will become reality at just the right time. A note to writers: Don’t despair if your first attempt to start or join a critique group doesn’t quite fit right, whether by genre or geography or personalities. It takes some experimentation. Think of it like junior high… finding your niche… but without all the acne and growth spurts.